We sent out a press release this morning. Please look it over and point your friends and colleagues to http://www.smbonlineconference.com/media/index.htm for more info. The original press release is here: http://www.prweb.com/releases/2012/3/prweb9281478.htm. It will be a great pleasure and honor to have Patrick Schwerdtfeger as a keynote speaker. Patrick is extremely bright and entertaining. He is a successful entrepreneur and author as well. He travels the world educating businesses on social media and how to make money in the "real" world. 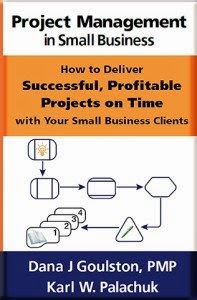 Patrick's last book is chaulk-full of great advice for small businesses in any field. We invited him to speak at the SMB Online Conference because everything he offers is relevant to IT consultants and managed service providers. If you want a little more on Patrick, check out his web site and You Tube Speaker promo. "What do you do that's Remarkable?" I am truly honored to be bringing fresh, new speakers such a Patrick to this event. If you haven't signed up yet, please sign up NOW for this conference. You will love it! Go to www.smbonlineconference.com and sign up today. 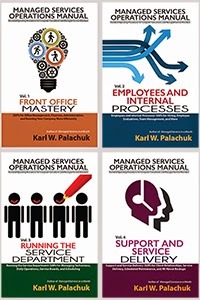 Small Business Technology author Karl Palachuk announced that international business speaker Patrick Schwerdtfeger will be a keynote speaker at the first major Online Conference for Small Business Consultants, "Managing for Success 2012." Sacramento, CA, March 14, 2012 - Small Business Technology author Karl Palachuk announced today that international business speaker Patrick Schwerdtfeger will be a keynote speaker at the first major online conference for small business consultants. The June conference focuses on building successful IT business processes and will feature some of the best business and technology speakers in the U.S. The online conference - Managing for Success 2012 - is the first event of its kind targeting technology providers and computer consultants. "In addition to great speakers from the world of technology," said Palachuk, "we've got some world-class business speakers. Patrick Schwerdtfeger brings us an inspiring message that he has shared all across America and around the globe." Schwerdtfeger's latest book is Marketing Shortcuts for the Self-Employed (2011, Wiley). He is a regular speaker for Bloomberg TV. He has spoken about business trends, modern entrepreneurship and the social media revolution at conferences and business events around the world. Patrick's past books include Webify Your Business: Internet Marketing Secrets for the Self-Employed (2009) and Make Yourself Useful: Marketing in the 21st Century (2008). He has been featured by the New York Times, CNN Money, Fortune, Bloomberg Businessweek, the Associated Press, MONEY Magazine and Forbes, among others. Schwerdtfeger's speaker information can be found at www.patrickschwerdtfeger.com. More information on Marketing Shortcuts for the Self-Employed can be found at www.80shortcuts.com. Other conference speakers include Stephanie Chandler and Bob Godgart. Chandler is the author of seven books, including Own Your Niche on the Internet and Beyond (Authority Publishing, 2012). Her Business Info Guide web site - www.BusinessInfoGuide.com - is an extremely popular destination for small business owners. Bob Godgart is the Chairman of the Board of CompTIA, the Computing Technology Industry Association. He is the founder of ChannelEyes, and the past founder, CEO, and Chairman at Autotask. Godgart describes himself as a "serial entrepreneur" and has started four technology companies that grew into market leaders over the last 25 years. For more information, see www.ChannelEyes.com. The conference is "virtual" (online only) and will run 9:00 AM to 4:00 PM on June 26-28, 2012. Attendees can choose to listen live or also have access to the recorded sessions. In all, the conference will broadcast eighteen hours of programming in three days. Primary sponsors of the SMB Online Conference include Autotask Corporation, the world's leading hosted IT business management software to streamline and optimize business processes for technology solution providers. Len DiCostanzo, Senior Vice President, Community and Business Development at Autotask will also speak at the conference.